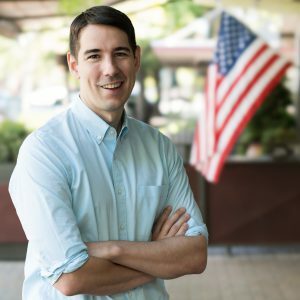 Rep. Josh Harder comes from a successful business background and taught community college in the district where he grew up. He’s a staunch advocate for Medicare for all and real immigration reform, and at 31 he became one of the youngest members in the U.S. House. California’s 10th Congressional District is a moderate, diverse Modesto seat that was key to taking back a Democratic majority in the House. Harder serves on the House Agriculture Committee, as well as the House Committee on Education and Labor.